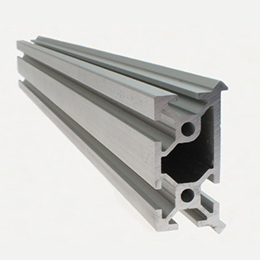 MakerSlide is a V rail integrated into a standard extrusion profile. If you are working on a CNC system like a 3D printer, CNC Mill, or CNC Router this MakerSlide might be the right structural support and linear motion system for you. This product is part of an open source project started by Bart Dring. This work is licensed under a Creative Commons Attribution-ShareAlike 3.0 Unported License. We do not lay claim to the designs of the slide or its accessories. Peace of mind - High Quality packaging makes it sure that these extrusions reach you in an undamaged condition. In case there is any damage during transit please inform us immediately after receving shipment, so that replacment can be dispatched asap.